Collaborative classrooms are the learning environments of the future. 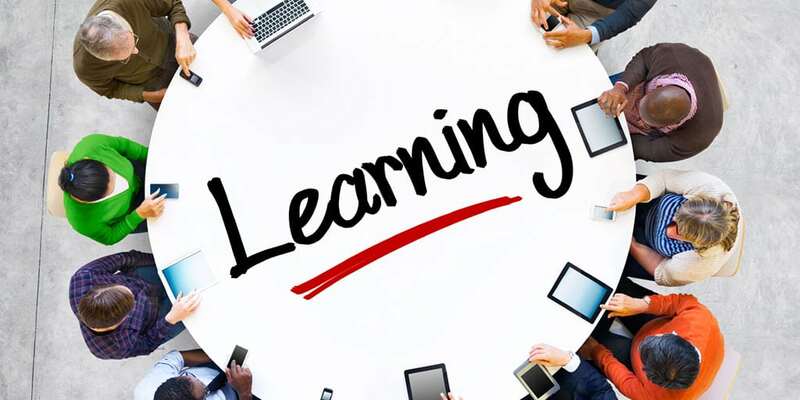 Schools around the world are saying goodbye to the conventional lecture-based learning space where the students remain inert in their respective seats and the teacher remains at the head of the class. In these new collaborative environments, teachers transition from doing all the talking to purposely creating opportunities for students to learn. At the same time, they are facilitating their learners' thoughts and discussions about what they learn. In this post, we'll discuss collaborative classrooms further and discover resources to help you build your own. Teachers, school administrators, parents, students, and societies can benefit from the collaborative learning model. That's because this model is advantageous in comparison to a traditional classroom in every respect. They allow respect to be given to all participants—students and teachers. They build community and value all contributions to deepening understanding and knowledge. They promote the social and emotional development of students in addition to academic development. They involve the active participation of learners. They demonstrate listening, paraphrasing, compromise, and open-ended thoughtful questions on behalf of the teacher. They provide access to a wide range of research tools. They engage and motivates students to achieve. They promote having clearly-defined goals to measure progress. They allow the teacher to readily move throughout the space and engage with different groups. Collaborative classrooms, from conception to fruition, involve parents and students so that the greater community becomes invested in the project and excited about its outcome. If you are looking at developing your collaborative learning environment and need inspiration, there are a variety of free resources to assist you. Below are 7 trusty resources you can use to get started. Edutopia - Remake Your Class. This site provides instructional videos and blogs that guide you through the process of building a collaborative learning environment. Wridea. This online ideas tool allows students to document and organize ideas that can be shared with friends for better participation and coordination of group projects. WeVideo. From K through 12 to higher education, there are a wide range of uses for this video storytelling tool. Inside the Collaborative Classroom. This resource features a host of videos, articles, and PDFs to explain and demonstrate the core principles of collaborative classrooms. PodBean. It is said that teaching cements knowledge. Turn learners into educators and give students the chance to create educational podcasts by using this audio blogging tool. Padlet. Padlet is a visual board-based brainstorming and creativity tool that lets learners share ideas easily. Buncee. This is a collaborative presentation tool that brings learning to life. Let your learners use it to develop skills in creativity, storytelling, and digital citizenship. Get started building your collaborative learning environment today by using these innovative tools to make the learning experience fun and engaging for students.